Any tour of lush, verdant New Zealand is bound to be a breathtaking experience. There’s so much to see and do, from beautiful beaches to stunning snow-capped mountains; from cosmopolitan cities where cultures blend in a riot of colour to incredibly ancient Māori settlements. But the crowning glory of any Kiwi tour will be a glimpse of massive, magnificent whales – some of the most remarkable creatures Mother Nature has produced. A whale migration route passes right through New Zealand’s waters, so it’s an internationally renowned destination for whale-watching. But where are the best places to see them (and the best times to visit)? Spanning some 4,000 square kilometres around Auckland and Coromandel, the Hauraki National Park is home to an array of exotic and endangered ocean life. More than 25 of the 37 Southern Hemisphere ocean animals can be seen here, including the critically endangered Bryde’s Whale. On the South Island’s east coast, Kaikoura is one of the few places on earth where you can spot majestic sperm whales. 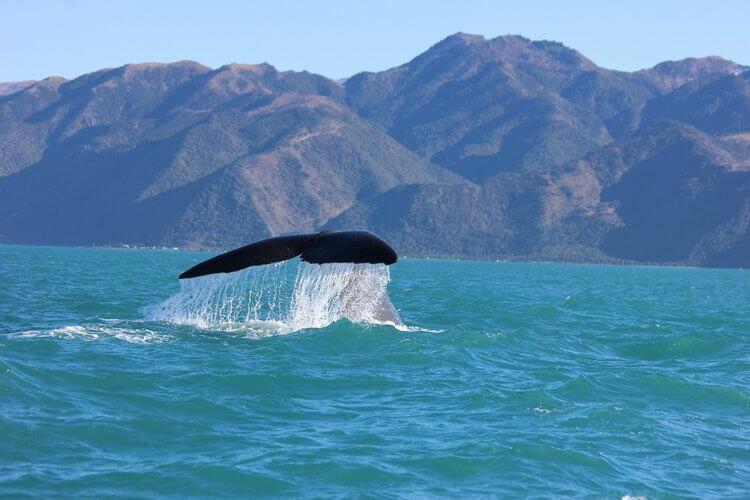 These remarkable creatures grow to more than 15 metres in length, making them the largest toothed whales, and they inhabit the waters around Kaikoura all year long. You can also spot orcas (killer whales) from December to March and humpback whales during June and July, not to mention fur seals and several species of dolphin. It’s entirely up to you whether you choose to get up close and personal with them in a boat or take a bird’s-eye view from the air – or why not do both? Also known as the Bay of Plenty, Whakatāne is the delightful setting for White Island, with its active volcano, and Whale Island. 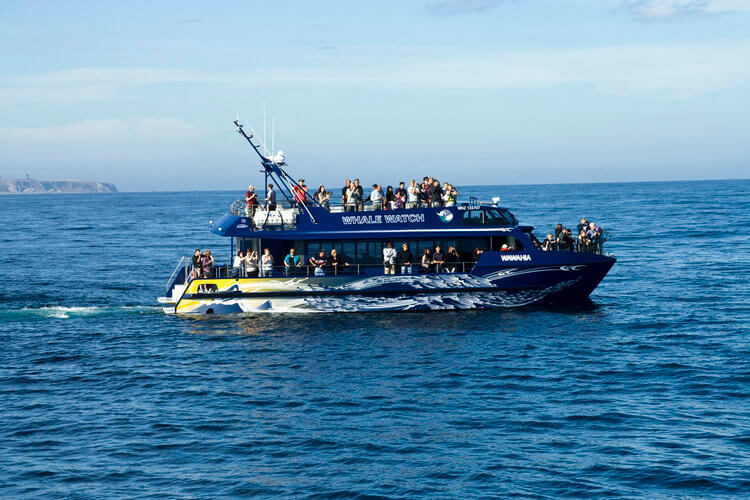 No clues for guessing that the latter is the perfect location in which to see whales, dolphins and other marine life during a memorable boat tour. If you’re really lucky, you might even get to spot orca, minke whales and pilot whales from the island’s shoreline. Perched between the North and South Islands, Marlborough Sounds is teeming with wildlife. In the bad old days, this was an international centre for the whaling industry; today it attracts visitors from far and wild to see these gentle giants. The best time to visit is June or July, when you stand a good chance of spotting baleen whales and might even sight an orca. Orca and Bryde’s whales are regular visitors to New Zealand’s most picturesque spot, adding another reason to visit this stunning region. 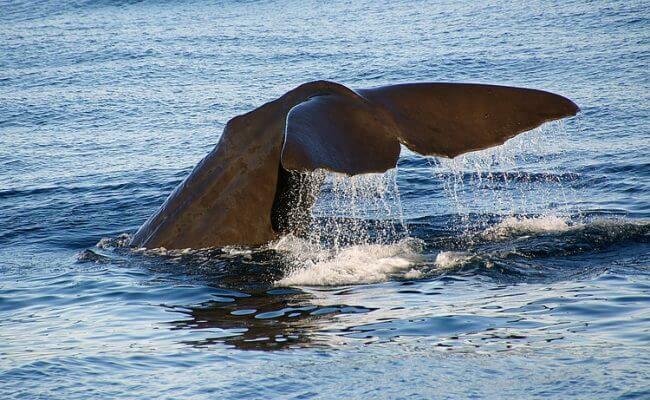 If you want to see whales, you should aim to visit between May and July and take a boat or kayaking tour into the bay: you might even encounter pilot and humpback whales – or if you’re incredibly lucky the awesome blue whale, the largest animal ever to have existed. We’re here to help you discover the most remarkable wildlife in New Zealand and to explore this remarkably varied country to the full. Whilst you’re Down Under, you might also want to take in some whale-watching in Australia – another great location to see these marine giants. We’ll help you make it happen. Images by Edward Nicholl and Bernard Spragg via Flickr and getspotted via Pixabay.